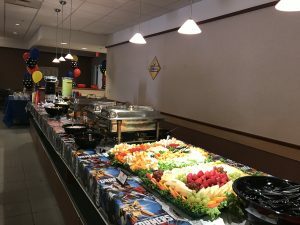 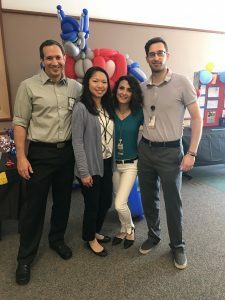 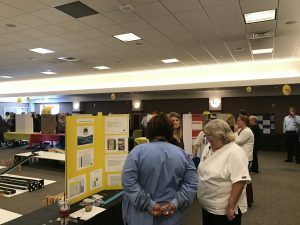 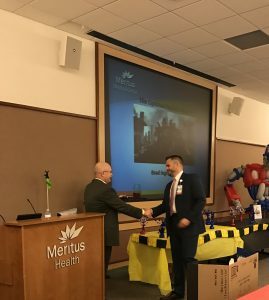 In late June 2017, Meritus hospital hosted their 5th annual lean celebration. 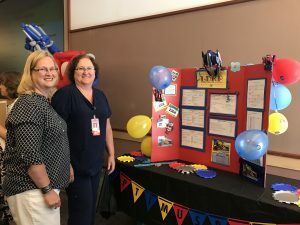 All staff involved in process improvement and Kata were invited to share their stories by creating poster boards to showcase the transformational work they have accomplished. 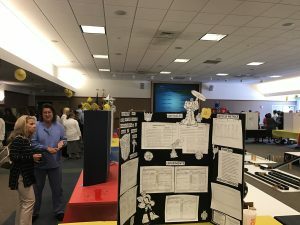 Almost 30 departments (inpatient and outpatient) attended and presented their Kata work impacting all aspects of the organizational strategic goals. 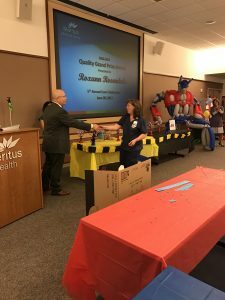 The lean celebration is a time for staff to shine and be recognized for their hard work throughout the year. 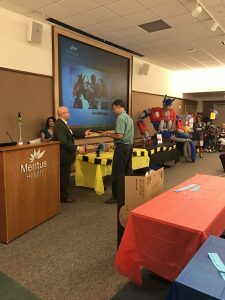 Many games are played and awards given by the CEO Joe Ross (Pictures are shown below) . 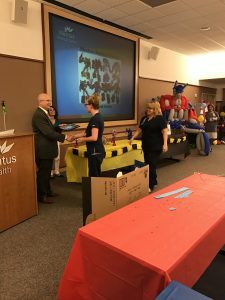 Terri and I (from Hanover Hospital) attended the event and it was a great way to cap off a year of improvements. 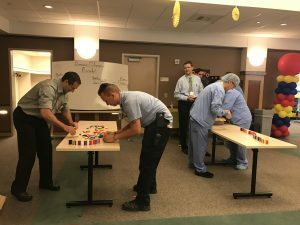 Reading through everyone’s boards gave lots to think about at our own facility. 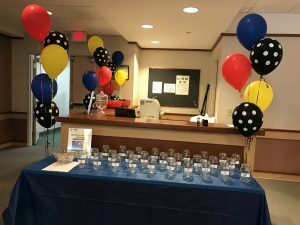 What an awesome way to celebrate everyone’s successes.